MENU: Kakiage Tempura, Mixed rice with green beans and steamed spinach. 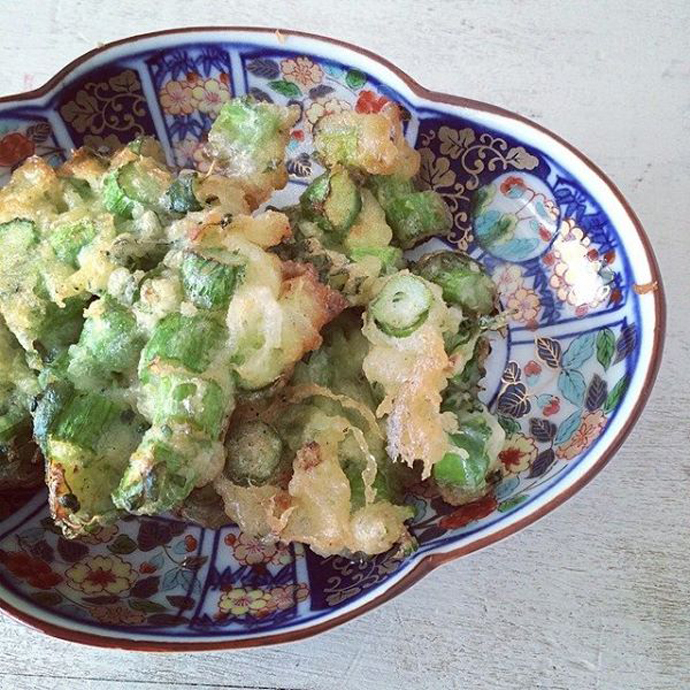 When I find small or used vegetables, I always make a Kakiage Tempura. 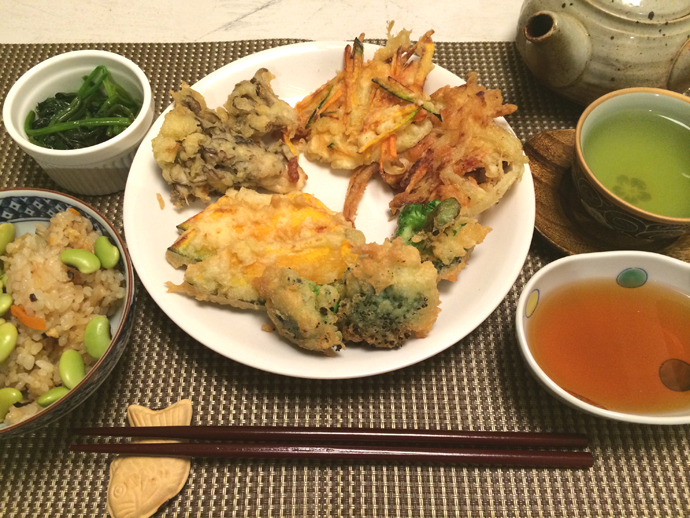 “Kakiage” means, “かき混ぜる Kakimazeru” (muddle, stir) + “揚げる Ageru” (fry) and you can use any vegetable and seafood. For Kakiage Tempura, it’s better to cut all the ingredients into small pieces or match stick sizes. And the tip is to enjoy the combination of the ingredients. For example, I like to combine CARROT + SWEET POTATO. I also like to combine with PUMPKIN Usually, I combine two of them or three for maximum. Because I believe that you can enjoy the flavor and texture of the ingredients a lot. If you use more ingredients, they will all be mixed together in your mouth…which might be OK for some people but I recommend not to do it! My favorite way of eating Kakiage Tempura is to enjoy with salt. Sometimes I mix salt with another Japanese spices and serve. And it’s always nice to eat with green tea ! I feel that I can enjoy the flavors of each ingredients EVEN MORE! 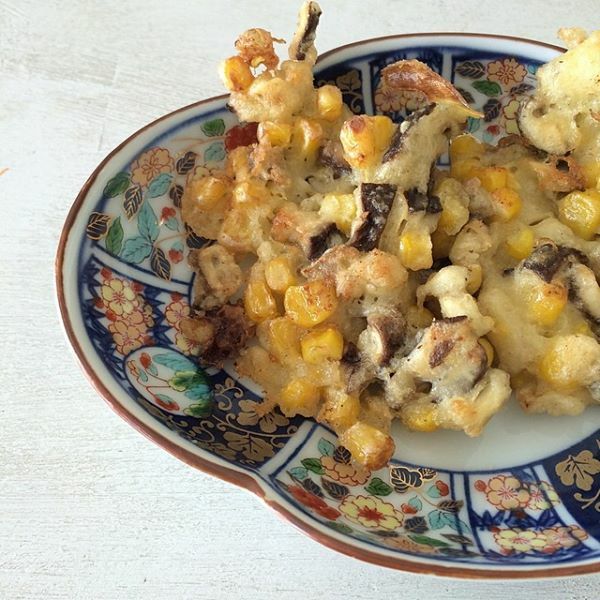 * In my cooking class, you can lean how to cook the Kakiage Tempura from the very beginning. 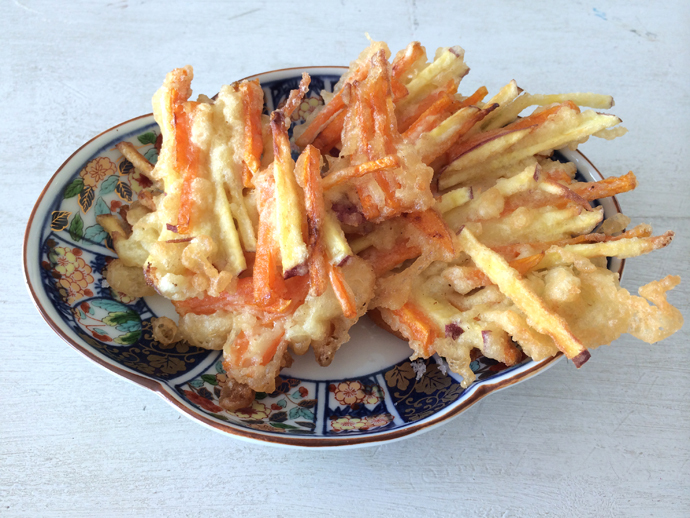 For more detail, please check the “Home Party Crispy TEMPURA” course.